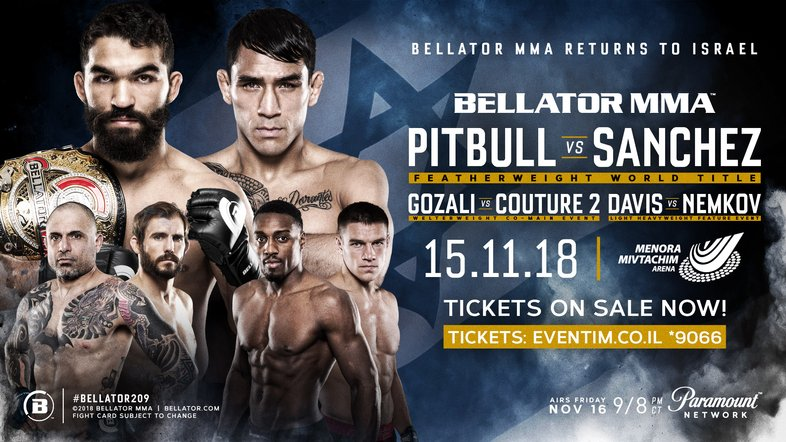 Bellator 209: Pitbull vs. Sanchez is scheduled to take place on November 15, 2018 at the Menora Mivtachim Arena in Tel Aviv, Israel. The event will be broadcast on TV November 16. Featherweight Patrício Freire (c) vs. Emmanuel Sanchez For the Bellator Featherweight Championship. The event will feature a bout for the Bellator Featherweight Championship between champion Patrício Freire and Emmanuel Sanchez. Haim Gozali will fight Ryan Couture at the event. The two met at Bellator 180 where Couture won by a unanimous decision. 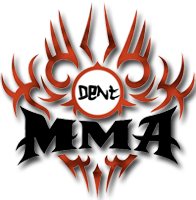 On August 20, 2018, it was reported that Olga Rubin is scheduled to meet Cindy Dandois at this event. The event will feature Vadim Nemkov coming off a spectacular win over former Bellator Light Heavyweight Champion Liam McGeary as he returns to face former Bellator Light Heavyweight champion Phil Davis. Somebody tell me how Ryan Couture keeps getting put on main cards. Also I think this date is wrong, unless it's airing on tape delay. All the TV listings say the 16th. Ok so I looked closer at poster and it says "15.11.18" and then "Airs Friday Nov 16" further down. The event is the 15:th but airs the 16:th. Not confusing at all Probably a sabbath issue lol.